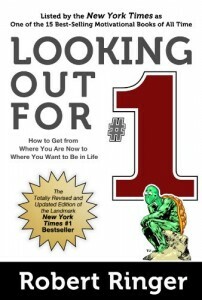 Get your FREE e-book edition of Robert Ringer’s landmark New York Times #1 bestseller, Looking Out for #1 – listed by the New York Times as one of the 15 bestselling motivational books of all time. Whether you read it on your Kindle, Nook, or mobile device, one thing is certain: This book will change your life forever, as it has done for millions of people worldwide. it may take up to an hour to process your request.